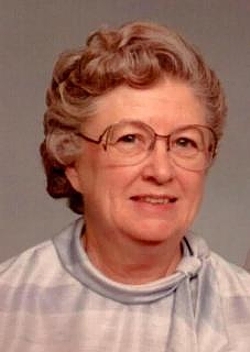 Theo M. Ahrendsen, 92, of Oxford Junction, Iowa, died Saturday, March 3, 2012, at her home. Funeral services to celebrate her life were held at 10:30 a.m. Wednesday, March 7, 2012, at Lahey Funeral Home in Oxford Junction. Friends called from 4 to 7 p.m. Tuesday at Lahey Funeral Home in Oxford Junction. Burial was in Massillon Cemetery, Massillon, Iowa. Theo Martha Ballou was born September 29, 1919 in Jones County, Iowa, the daughter of Lloyd and Hattie (Lathrop) Ballou. She graduated from Olin High School. She was united in marriage to Hans Ahrendsen on December 20, 1938. Theo was a homemaker. She was a member of the Oxford Junction United Methodist Church, O.E.S., and the Garden Club. She also was a member of Cedar County Chorus and sang for many weddings and funerals. She is survived by her two children, Richard L. Ahrendsen of Oxford Junction and Karen (Dr. Clyde) Miller of Owensboro, Kentucky; two grandchildren, five great-grandchildren; and two great-great-grandchildren. She was preceded in death by her husband, her parents, and three brothers.